Sen. Tim Scott, the lone African-American in the Senate GOP ranks, is the latest Republican to rebuke Iowa Congressman Steve King, after the eight-term GOP representative, in an interview with the New York Times earlier this week, questioned why the terms "white nationalism" and "white supremacy" are considered offensive in modern America. "White nationalist, white supremacist, Western civilization -- how did that language become offensive?" King said in the interview with the Times. "Why did I sit in classes teaching me about the merits of our history and our civilization?" 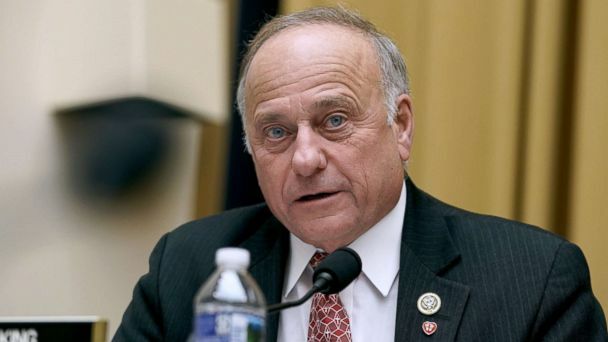 Those comments, coupled with King's long history of controversial comments about race and immigration, have led several prominent Republicans to rebuke King and call for a primary challenge to him in 2020. Scott, from South Carolina, criticized King's comments, in an op-ed in the Washington Post on Friday entitled: "Why are Republicans accused of racism? Because we're silent on things like this." "I will admit I am unsure who is offended by the term 'Western civilization' on its own, but anyone who needs 'white nationalist' or 'white supremacist' defined, described and defended does lack some pretty common knowledge," Scott wrote.